New technology for you SEO efforts! We drip feed all these signals for 10 days, which will make them look extremely natural and relevant! We offer 600+ sociaI signals in sum, so you can choose yourself the amount of signals per each sociaI platform! 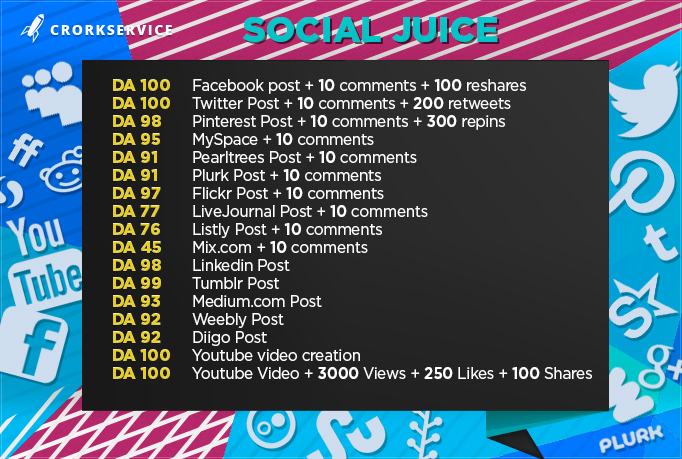 Need more Social Signals? Please contact with our support.